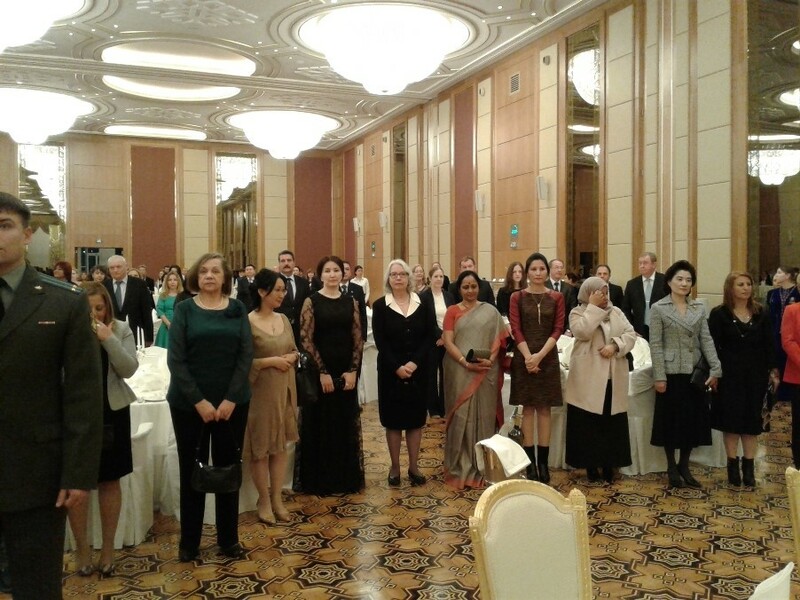 Ashgabat, 17 December 2016 (nCa) — The embassy of Kazakhstan in Ashgabat hosted Friday a reception to mark the 25th anniversary of the independence of Kazakhstan. 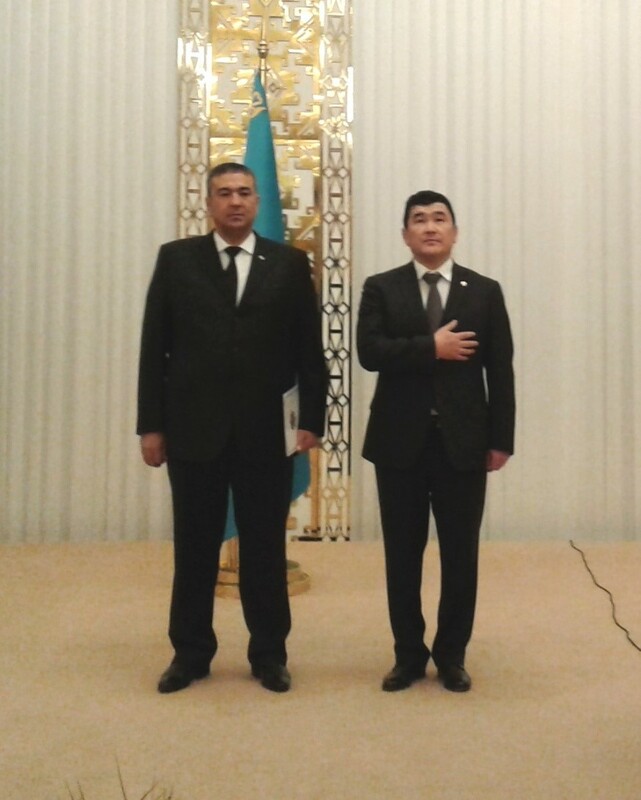 Ambassador Orman Nurbayev said in his speech that because of the forward looking policies of the president of Kazakhstan and the solidarity between the government and the people, the country had made remarkable progress just within a quarter of a century. He said that GDP had grown by 20 times and the average wages increased by 17 times. The per capita had exceeded USD 13000, which is the second highest in the CIS, he said. He mentioned that more than 2 million new jobs had been created, 1400 schools and 1300 healthcare facilities had been established during the years of independence. The life expectancy had reached 75 years. The ambassador said that the international gold and foreign exchange reserves of Kazakhstan had exceeded USD 100 billion, amounting to 50% of GDP. The direct foreign investment to the country reached USD 255 billion. He said that under different development programmes and initiatives Kazakhstan was consolidating its gains and streamlining the human and material resources for the sustained development of the country. Ambassador Nurbayev said that at the regional and global scene, Kazakhstan was playing key role in disarmament, peace and stability, anti nuclear drive, and inter-faith harmony. He said that the theme of the EXPO-2017, to be hosted by Astana, would be ‘Energy of the Future.’ This, he said, would be an important step in the implementation of the UN global initiative on sustainable energy for all. He added that it would also bolster the economy of Kazakhstan and break fresh grounds for the third industrial revolution. Speaking of relations with Turkmenistan, the ambassador said that the diplomatic relations were established on 5 October 1992. He said that both the countries were developing the partnership on the basis of mutual respect and good neighbourly rlations and support each other on all the regional and international platforms including the UN, OSCE, CIS etc. The ambassador said that opening of the Kazakhstan-Turkmenistan-Iran railway line (North-South railway line) in December 2014 was an important milestone for both the countries. The annual carrying capacity of this railway line would be increased to 700000 containers by the year 2020, he said.